Battle of Picacho Peak, Arizona took place on April 15, 1862. Robert E. Lee, "Stonewall" Jackson, and Ulysses S. Grant are names synonymous with the American Civil War. Henry Hopkins Sibley and James Carleton are less familiar or altogether unknown names yet their importance to the outcome of the Civil War cannot be overstated. In 1862, General Sibley of the Confederate States of America (CSA) Army marched his brigade from Texas, along the Rio Grande, and was destined for California. Colonel Carleton, commander of the Union's California Column, led his troops eastward from Fort Yuma with the mission of preventing the Sibley Brigade from reaching California. The leaders in Washington, D.C. and Richmond both understood the importance of possessing New Mexico and Arizona territories as they were the gateway to the ports of California. The Union blockade of the southern Atlantic ports and the rapidly declining financial resources of the CSA were two of the reasons Confederate President Jefferson Davis ordered his troops to move west from Texas. If the CSA had been successful the outcome of the war, and certainly the duration, may have been quite different. 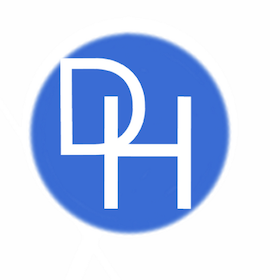 The natural resources found in the region, the Pacific ports of California, and openness to slavery were factors that had the ability to drastically change the outcome of the Civil War. When Arizona split from New Mexico and declared itself a separate territory in 1860, the Confederacy saw this as an opportunity to gain support among Arizonans for the Southern cause. Prior to the outbreak of war, the federal government moved troops from forts in Arizona so as to fortify garrisons around Santa Fe. This left Arizona to essentially fend for itself against Native American raids. Lawlessness became rampant and Apache attacks more prevalent, thus prompting a feeling of hatred toward the federal government among Arizonans. A Confederate commissioner had been surveying the region and reported back to his government that the Arizona population was excited "to join Texas and the South for a Confederacy. "This attitude was more pronounced in the southern portion of Arizona, specifically Tucson, as this region faced greater adversity from the Apaches. Additionally, the election of the nation's first Republican president did nothing to bolster confidence in the ability of the leaders of the U.S. to garrison and support Arizona. On March 4, 1861 Abraham Lincoln was sworn in as the 16th President of the United States. The following day, Texas ratified a provisional constitution of the Confederate States of America. Arizona, whose Anglo population was composed primarily of migrants from the southeastern region of the U.S., quickly mimicked the actions of Texas and on March 16, 1861 became the only territory to secede from the Union.Two months hence, on May 13, 1863, Henry Hopkins Sibley, Major of the U.S. Army, resigned his commission and became a Brigadier General in the Confederate Army. The former commander of Fort Union in New Mexico, travelled east and began to push the idea of a full-scale invasion of New Mexico and Arizona. He assured President Davis that New Mexico and Arizona, along with portions of California and Colorado contained strong secessionist factions. This was a fear of the Colorado governor, who wrote to Washington that he was concerned about a "strong and malignant secessionist element. "The animosity felt toward the U.S. government, lands fertile for cotton and other various crops, and the southern roots of the citizens made the Southwest territories a desirable region for the CSA. Establishing a Confederate government in this region not only meant more manpower but also provided access to the natural resources contained within the territory. When the War of the Rebellion began, the South was at a great disadvantage both financially and in terms of manpower. The North boasted a population of 22 million individuals, many of whom worked in one of the 110,000 factories that produced goods worth over $1 billion dollars annually. The agrarian South had just 18,000 factories that yielded $155 million in products during the same time period. The number of individuals in the North dwarfed that of the South, whose 1861 total population was 9 million; 3.5 million of that number constituted chattel slaves. Additionally, for every firearm possessed by the CSA, the Union owned 32.Adding to the financial woes of the CSA, on April 19, 1861 President Lincoln ordered a blockade of all southern ports. The blockade not only halted the import of goods to the South, it also stopped the South's exportation of products; namely cotton to England. Without the revenue generated by the exportation of cotton, the CSA was in dire economic straits. The newly established government "possessed no machinery for levying internal taxes," therefore began printing paper money and financed their war effort primarily with "a billion and a half paper dollars that depreciated from the moment they came into existence." Inflation exacerbated exponentially and goods were in short supply. Salt, which prior to the war was purchased from the North and was the only means by which to cure meat, increased in price from $2 per bag before the onset of war to $60 per bag by the end of 1862.The Confederate dollar was essentially worthless and without cotton revenue the economy was sure to crumble further. While the economy of the CSA was facing devastation, the southwestern territories were beginning to flourish. Gold was discovered in Arizona along the Gila River in 1857. Three years prior, copper was found in the territory and via the then flowing Colorado River was shipped to Wales for the cost of $360 per ton. The Confederacy needed open ports in order to reestablish trade and eyed the mineral treasures of the Southwest to fund its war effort and feed its citizens. On January 18, 1862, the Confederate legislation called for the civil organization of Arizona Territory. There was to be a bicameral legislature and slavery was to be legalized. The official Ordinance of Secession was issued by Jefferson Davis on February 14, 1862.At the same time, Sibley's Texas Brigade soundly defeated Union Colonel Edward R.S. Canby and his troops in Valverde, New Mexico and continued north toward Albuquerque. 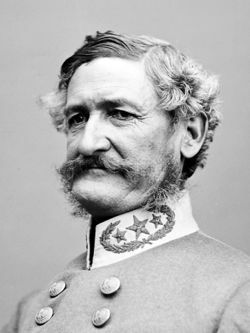 Concurrently, Captain Sherod Hunter of the CSA was carrying out his order to proceed west and procure mineral assets and "civilian support to the California border. "Hunter was successful and on February 28,1862 he and 100 of his men arrived in Tucson, where the following day they hoisted the Confederate flag. While Hunter relaxed in Tucson, Sibley's Brigade neared Santa Fe from the southeast at the same time that Federal troops approached from the west. The opposing armies met at Glorieta Pass on March 28, 1862. Not only did the Union army score a resounding victory, they also found and destroyed the Confederate supply camp. CSA troops were in a full and fast retreat back to Texas with only the supplies and rations they had in their possession. While these men began the grueling march back to Texas, Colonel James H. Carleton of the Union's California Column was marching his troops from Fort Yuma along the Gila River, destined for Tucson. 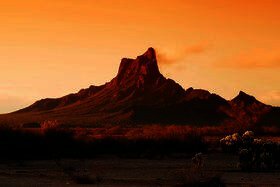 When the men under his command neared Tucson on April 15, Captain William Calloway ordered Lieutenant James Barrett of the 1st Cavalry to lead a small advance guard to the entrance of the pass at Picacho Peak. Barrett discovered Rebel pickets in the brush and fired his pistol in the air and ordered their surrender. 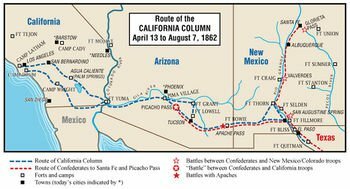 A skirmish ensued that resulted in the surrender of three Confederate troops and the death of Barrett and two of his men.The Confederate troops that were able to escape, got word to Hunter that the California Column was in imminent range of Tucson. Captain Hunter evacuated Tucson on May 4, 1862. The American flag again flew over the city on May 20. Federal authority had been restored in New Mexico and the organized forces of the CSA were evacuated from the Southwest. They returned to Texas and points east without any shipping lanes or precious ore. To further solidify the South's permanent exclusion from the region, in February 1863, the 37th U.S. Congress passed the Arizona Organic Act. Signed by President Lincoln on February 24, 1863, the Act officially designated Arizona as a separate U.S. territory and proclaimed, "there shall neither be slavery nor involuntary servitude in the said territory." The events that took place in the Southwest from 1861-1862 directly affected the outcome of the American Civil War. The ample resources of Arizona and shipping ports of California were substantially abundant and practical to sustain the Confederate war effort and foster the spread of chattel slavery. ↑ Robert L. Kerby, The Confederate Invasion of New Mexico and Arizona, 1861-1862 (Tucson: Westernlore Press, 1981), 27-28. ↑ Eric Foner, Give Me Liberty: An American History,vol.1, 2nd ed. (New York: W.W. Norton, 2009), 486. ↑ James McPherson, Battle Cry of Freedom: The Civil War Era (New York: Oxford University Press, 1988), 439. ↑ Thomas Sheridan, Arizona: A History (Tucson: University of Arizona Press, 1995), 63, 162. ↑ For a detailed account of the Battle at Picacho Pass, see Aurora Hunt, The Army of the Pacific: Its Operations in California, Texas, Arizona, New Mexico, Utah, Nevada, Oregon, Washington, Plains Region, Mexico, etc, 1860-1866 (Glendale: Arthur H. Clark, 1950), 88. ↑ Library of Congress, A Century of Lawmaking for a New Nation: U.S. Congressional Documents and Debates, 1774-1875. http://lcweb2.loc.gov/cgi-bin/ampage?collId=llsl&fileName=012/llsl012.db&recNum=695 (accessed April 17, 2012).